Porto, Portugal Porto can’t be this perfect for long. Porto is a handsome rogue of a city, all the more charismatic because of its state of crumbling glamour. With the Portuguese economy imploding, though, there may not be much cash to prevent picturesque disrepair sliding into ruin. Go before chunks of it fall down. Porto is commendably light on day-wasting sights. The churches, museums and Rem Koolhaas’s modernist concert hall are all ordinary enough to be skipped with a clear conscience, leaving you to relish the only real must-see: the city itself. It’s a marvel, a superbly ramshackle jumble of medieval tenements, art-deco mansions, winding alleyways and bustling commerce that rewards strolling with endless surprises. It’s stubbornly ungentrified, too: in buildings that anywhere else would have been turned into museums, street-level mechanics bash scooter engines back to life while, upstairs, matriarchs lean over laundry-hung art-nouveau balconies, carrying on shouted conversations with niños below. 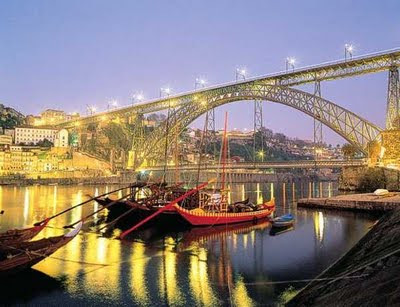 Start south of the River Douro, in the 18th-century port-wine warehouses of Vila Nova de Gaia. It’s still a working area, with the great English names that made the city’s fortune — Sandeman, Cockburn, Graham — storing and shipping from here. All offer tours: best is Taylor’s (Rua do Choupelo 250; www.taylor.pt), a steep five-minute climb uphill, where an hour’s mosey around the ancient 25,000-litre oak barrels, careful instruction in tawnies v rubies and two glasses of fine port will cost you — wait for it — nothing at all. Lovely gardens and a great view over the city, too. Wander north across the Dom Luis 1 bridge and through the cobbled alleys of Ribeira — Rua da Reboleira, a deep gulley between towering medieval tenements, might just be the most atmospheric street in Europe. Then head to the cacophonous central market, Mercado do Bolhao, with superb flowers, rabbits and chickens sold live for the table (you don’t get fresher), and cheap and tasty chorizo to take home (90p for six spicy links? Fill the suitcase). Nip over the road to the art-deco Confeitaria do Bolhao for coffee and ovos moles (60p): they’re soft egg yolks in sugar paper, and much, much nicer than they sound. One is enough, though. For clothes, make for Rua de Miguel Bombarda, where dozens of independent designer shops and art galleries lurk in anonymous doorways — at No 416, Juliana Cerdeira’s quirkily glamorous evening wear stands out. Stop for a masala tea at Rota do Cha, at No 457, a rabbit warren of intimate little rooms in an 18th-century house populated by the city’s coolest set. Enough city: to the beach. Which is only a 20-minute tram ride away. From Ribeira, the wood-panelled 1930s-vintage cars still rattle their way along the Douro to the beach at Foz, driven by equally vintage flat-capped septuagenarians. Step off and stroll to the chic Shis (Esplanada do Castelo, shisrestaurante.com) for an excellent risotto de bacalhau (£10.50) or tapas (from £5 a plate) on wooden decks over the surf. 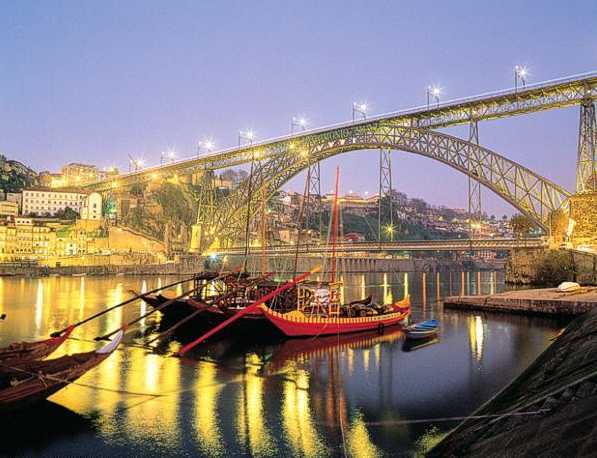 By night: the Douro waterfront is touristy, but when the view is this good, you really shouldn’t care. Eat upstairs at Filha da Mae Preta (Cais da Ribeira 40; mains from £11.50), gazing through an ancient stone archway at the lights twinkling on the water. It’s magical. To join the beautiful people, walk 10 minutes to the chilled-out clubs of Clerigos. We like the arty vibe and inventive DJ at Twin’s Baixa (Rua Candido dos Reis 12), but with dancers and music spilling good-naturedly onto the street, there’s no need actually to enter a building. Don’t turn up before midnight — social death — or leave before 4am. The hotels: big news is the Yeatman (00 351-220 133100, theyeatman.com; doubles from £136, room-only), a £31m folly in Vila Nova do Gaia. It’s a little heavy on the white marble, but the huge rooms and breathtaking view from the decanter-shaped infinity pool more than compensate. For basic but comfy rooms, pretty gardens and a palpable sense of history, go for the Grande Hotel de Paris (222 073140, hotelparis.pt; doubles from £53, B&B).